Mike’s research expertise is in the area of NMR (Nuclear Magnetic Resonance) utilising techniques in various applications including emulsions for the oil, food and agrochemical industries, biofouling of membrane, rock characterisation and earth’s field NMR. 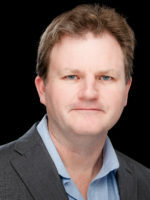 Joining UWA from Cambridge University in 2011 Mike has been focussed on establishing a world leading research group in mobile and robust low magnetic field NMR/MRI. Together with Eric May Mike leads the Fluid Science and Resources Division in the UWA School of Engineering, Computing and Mathematics. Training Centre Projects: Microscale LNG Facility for R&D, Multi-phase Flow & Boil Off Rates in Offshore LNG Production Systems, Novel Sensors for Smart Production, NMR Online Analysis of Discharge Water, Reducing MEG Use Through Under-Inhibited Operations, Bio-compatible Anti-Agglomerants.